The lace and satin combination on this Flair prom dress 19027 is fashion perfection. Features a sophisticated high neckline along with straps that lead to a mesmerizing low cut back. 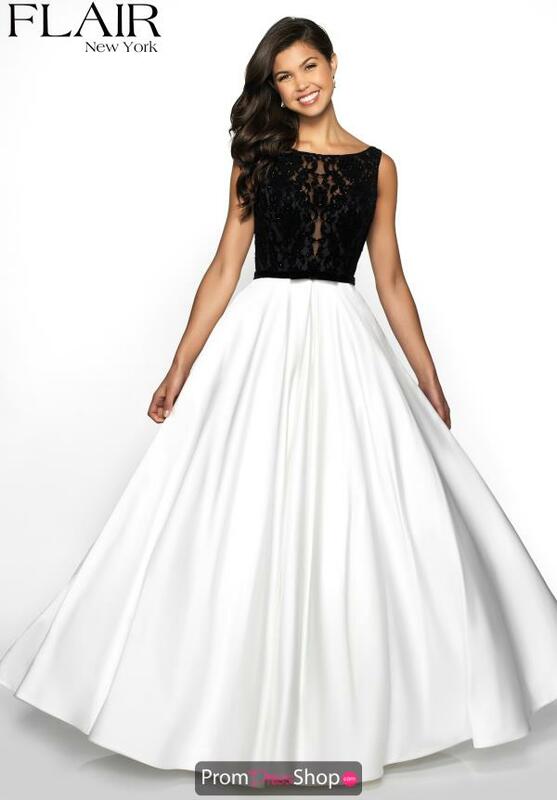 Its lace bodice is followed with a long satin a long skirt that will let you dance the night away. Pockets complete this marvelous look.